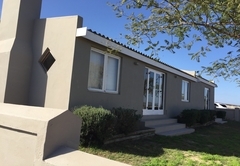 Vensterklip is a property providing self catering in Elands Bay for tourists visiting the Cape West Coast region. 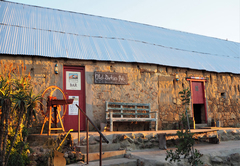 On the wild West Coast, just 200kms north of Cape Town, close to the ocean and the renowned surf spot, Elands Bay, lies an extraordinarily beautiful stretch of wilderness. 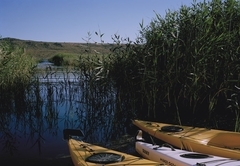 Vensterklip is situated on a stretch of water known as Verlorenvlei, which is one of the largest natural wetlands along the West Coast of South Africa and the only coastal fresh water lake in the country. It is a designated Ramsar site of National Importance and provides a varied natural habitat for over 240 bird species. 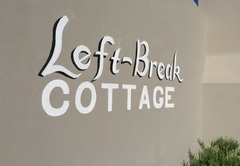 Nearby Elands Bay is a cult surf spot famed for its six star left breaking wave. Despite the ice cold waters, surfers from all over the world make the pilgrimage to this savagely beautiful place. 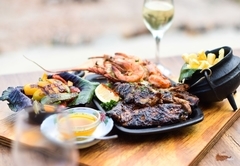 With heartbreakingly beautiful sunsets and magnificent crayfish, this is one of the key places on the wild Cape West Coast. 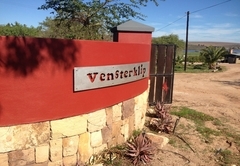 Vensterklip offers a choice of accommodation ranging from beautifully restored historic cottages, dating from the early 1800’s, to luxury campsites with en-suite bathrooms and braai areas, all overlooking the Vlei. 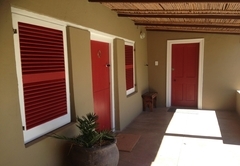 The charming historic accommodation includes The Scott House (sleeps six, two bathrooms, wonderful large stoep with vlei views). 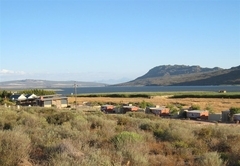 The Pump Station is an ideal romantic hideaway which sleeps two (but can also accommodate children) is set apart from the rest of the property and commands breathtaking views over Verlorenvlei. 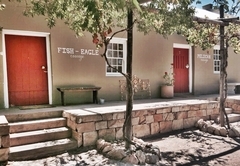 Fish Eagle and Pelican are two adjoining historic studios each sleeping two people. 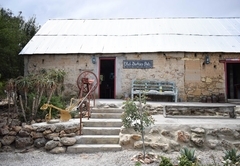 The Tin Kitchen country restaurant serves delicious local organic meat and fish dishes in and around a 300 year old barn. 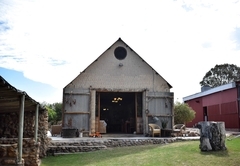 Shaded seating areas and beautifully tended lawns add to the relaxed, rustic atmosphere. 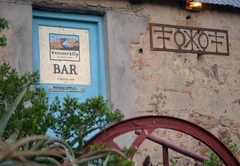 Vensterklip is an ideal spot for bird watching, kayaking, horse riding, fishing, walking, surfing, rock art, wild flowers - or just enjoying a perfect piece of wilderness. Rustic Overland Campsite, water, electricity, for the self-reliant camper. 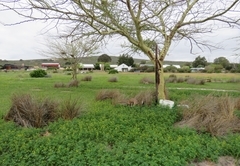 9 individually screened 7 x 8m campsites overlooking Verlorenvlei, each with braai area, electricity and light. 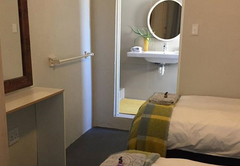 Shared toilets, showers and wash up area nearby (approx 30m). Maximum one car to be parked next to campsites. Additional parking nearby. 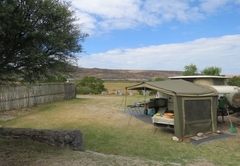 6 beautiful 15m x 25m private campsites overlooking Verlorenvlei, each with braai area, sink and en-suite bathrooms with WC, basin and shower. Maximum one car to be parked on site. Additional parking nearby. 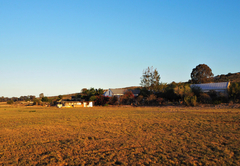 Beautifully restored historic farm house with large stoep overlooking Verlorenvlei. Kitchen, large living dining room and 3 bedrooms: 1 bedroom with double bed and en-suite bathroom with shower; 2 bedrooms each with one double and one 3/4 size bed. 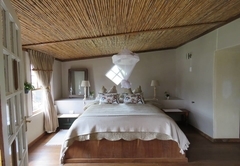 A beautiful private cottage situated 100m up the hill with stunning views of Verlorenvlei. 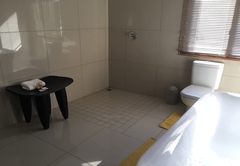 Large stoep, living and kitchen area, double bed, bathroom with bath and shower. 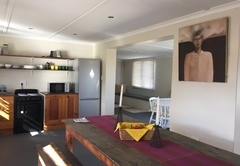 Historic cottage adjoining Fish Eagle Cottage, with two 3/4 size beds, bathroom with shower, kitchen area, small stoep and braai area, but no views. 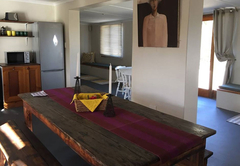 Historic cottage adjoining Pelican Cottage, with a Double and two 3/4 beds, bathroom with shower and kitchen area. Small stoep and braai area, but no views. 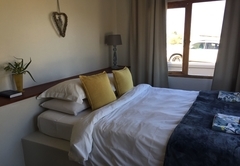 Bedrooms each with one double bed and private en-suite bathroom. 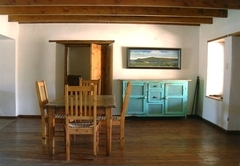 A cozy cottage overlooking the Verlorenvlei. Two bedroom each with en-suite bathroom. Newly Renovated Cottage en suite bath room in main room with 2 single beds, bunk beds in other room. Indoor braai, kitchen and amazing view. Great place, we camped in the overland camping, great views and very peaceful. 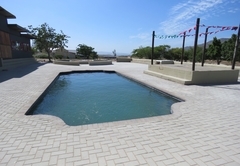 The ablutions were clean and fully working along with the pool and braai areas. The pizzas we had there was some of the best pizza I've had (available only on fridays). The only thing that wasn't great was that the ground we camped on was mainly just sand, I would've prefered grass as the sand got hot and got everywhere, next time I think we will rather camp on one of the private camp sites as those sites are mainly grass. 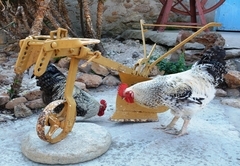 Response timeVensterklip typically responds to requests in 5-10 minutes.